TVS has officially commissioned its assembly line at Nakuru, Kenya. It has also officially announced that there will be two bikes launched specifically catering to the usability, reliability and durability needs of the Kenyan markets. TVS has been present in the Kenyan market for more than 10 years and shares its distribution efforts with Kenya-based Car & General. The TVS two-wheelers sold in the Kenyan market are the MAX 4R, Star series, Apache and Wego. The company expects to reap the benefits of local assembly with the two future motorcycles also being assembled at the Nakuru plant. "We have reaffirmed our commitment to the Kenyan customer with the dedication of an assembly line through which we will roll out products that are tailor-made for this region. We have just completed our trial and training period and will commence regular production of our TVS Star series of motorcycles from Tuesday. We also intend to launch two new motorcycle models over the next two quarters. These motorcycles are specifically developed and designed keeping the needs of the African consumer in mind and will be assembled at the same facility," said K N Radhakrishnan, President & CEO, TVS Motor Company. TVS currently holds around 27 percent market share in the Kenyan market and expects to see a rise of another 13 percent. Currently, TVS has a footprint of more than 75 dealers, 300 service points and around 2,500 trained mechanics across Kenya. 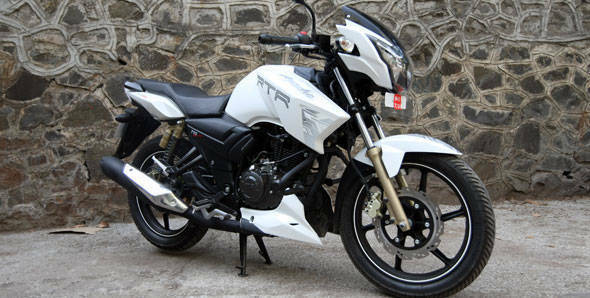 In its latest foray into the Kenyan market, TVS follows Hero MotoCorp which launched its brand and products earlier this month.